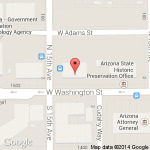 What is the State of Arizona Board of Acupuncture Examiners? Regulation exists to protect the public's health, safety and welfare. In the State of Arizona, statutes provide for the Acupuncture Board of Examiners to handle the licensing and regulation for the Acupuncture profession. To oversee the general application of the laws governing the practice of Acupuncture. To update and develop regulations. To address scope of practice and to better define both appropriate conduct by professionals and consumer expectations. To continually review required credentials for Acupuncturists to practice safely, effectively and ethically. To apply appropriate disciplinary action to Acupuncturists who may have broken the public’s trust through a violation of law. To function in the global regulatory community to assist other professions or jurisdictions affected by Acupuncture. The Governor appoints the nine members of the State of Arizona, Board of Acupuncture Examiners. The Board is comprised of four licensed Acupuncturists, three public members and two professional members whose license may include acupuncture. The Board employs staff to carryout administrative, licensing and investigative functions of the agency. An assistant attorney general provides legal counsel to the Board and its staff.